Earlier today at the Television Critics Association Winter Press Tour, Freeform hosted a panel titled “Freeform’s Youth Movement” that showcased their continued commitment to inclusivity and authentic storytelling. The network shared their dedication to highlighting the power of young adult programming and made several announcements about their programming lineup. Avoiding a sophomore slump, critically acclaimed series grown-ish has been picked up for a third season on Freeform. The series is a contemporary take on the issues that students face in the world of higher education. 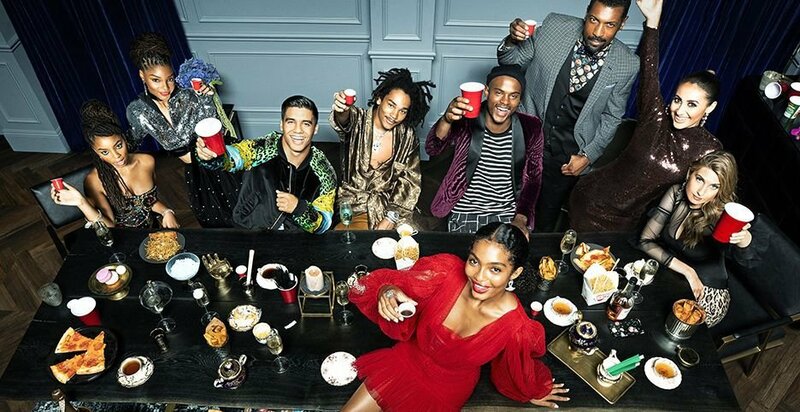 Currently airing its second season on Wednesdays at 8 pm EDT/PDT on Freeform, the sophomore year of grown-ish follows Zoey and her friends as they return to CalU with confidence and swagger. Learning from the ups and downs of their freshman year, they all think they’ve got their second year on lock, but quickly realize that they’re not as grown as they think. Executive producers and cast from the recently picked-up to series Party of Five attended a panel at today’s Freeform Television Critics Association Winter Press Tour session, giving a first look at the new series. 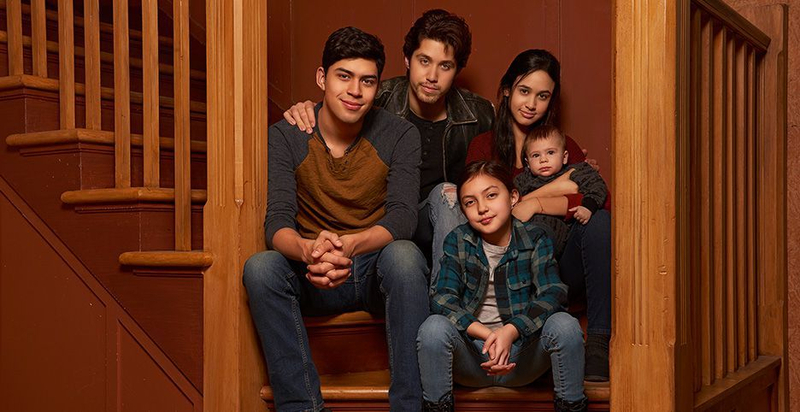 From Sony Pictures Television, the reboot will follow the five Acosta children (fka Buendias) as they navigate daily life struggles to survive as a family unit after their parents are suddenly deported back to Mexico. The new iteration of Party of Five is created by Keyser and Lippman, who also serve as executive producers and writers. Rodrigo Garcia also serves as executive producer and directed the pilot. Michal Zebede serves as co-executive producer and writer. 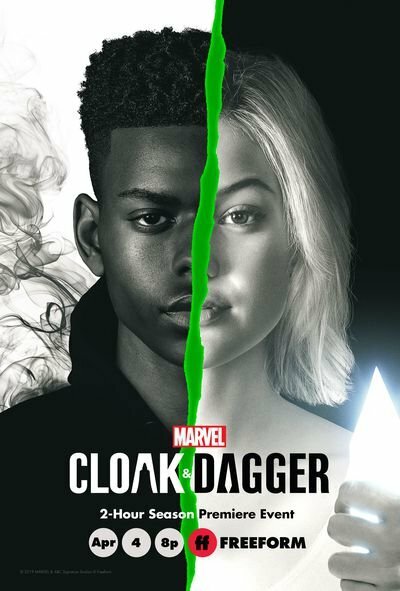 Marvel’s Cloak & Dagger is the story of Tandy Bowen (Olivia Holt) and Tyrone Johnson (Aubrey Joseph)—two teenagers from very different backgrounds who find themselves burdened and awakened to newly acquired superpowers, which are mysteriously linked to one another. The only constants in their lives are danger and each other. Tandy can emit light daggers and Tyrone has the ability to control the power of darkness. They quickly learn they are better together than apart. Premiering on Thursday, April 4, at 8:00 pm EST/PST with a two-hour episode, season two turns the heat up on our young heroes as Tyrone and Tandy try to find their place as more active heroes in this world. As they learn and grow emotionally, so will their skills. In season one, we saw Tandy and Ty dip their toes into the world of hopes and fears; this season, they will dive deeper into this metaphysical pool. With enhanced powers and a decision to make about the type of heroes they want to be, they make the choice to run into the danger, head first. They tackle a heartless vigilante and uncover an evil that’s been preying on the young women of the city, as the show takes on more serious topics like gang violence and human trafficking. 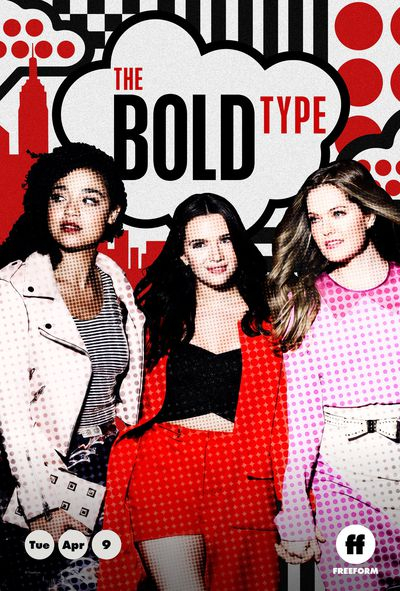 The latest headline from Scarlet Magazine—The Bold Type returns for season three on Tuesday, April 9, at 8:00 pm EST/PST. Throughout season three, the trio will continue to push the boundaries of what it means to be young women juggling careers and love lives while embracing their identities. The series also continues to explore important issues, both political and personal, such as workplace harassment, female reproductive rights, data hacking and racial profiling, among others. Melora Hardin as Jacqueline Carlyle. Today, Freeform announced that Jordin Sparks (“Sparkle”), Matt Shively (“The Real O’Neals”) and newcomer Brooks Brantly have been cast in the highly anticipated new comedy series Besties (working title). 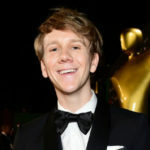 Sparks will play Becca; an ambitious overachiever from a hard-working, conservative African-American family, who learns that her birth mother is actually white. Shively will portray Matt, a former athlete and current bar manager, who can’t completely let go of his glory days. Brantly will portray Becca’s brother Todd, a mama’s boy who still lives in their parent’s basement. 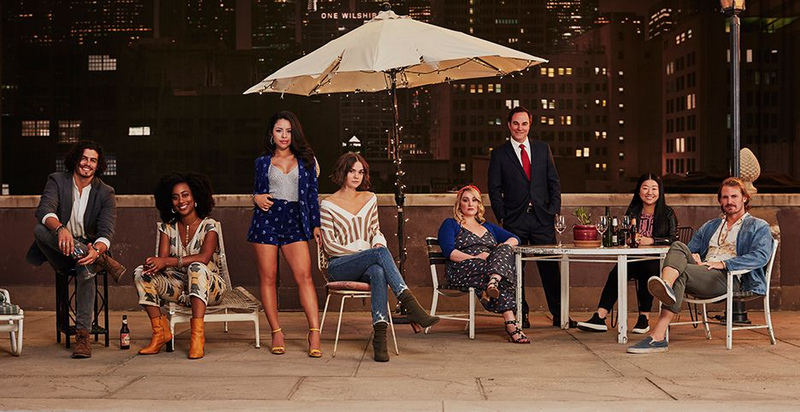 Set in Los Angeles, the series will follow Becca and her newly discovered half-sister Jesi, as they’re thrown into each other’s lives by an online genetics test and have to figure out how to go from strangers to sisters. Besties is produced by ABC Signature Studios. 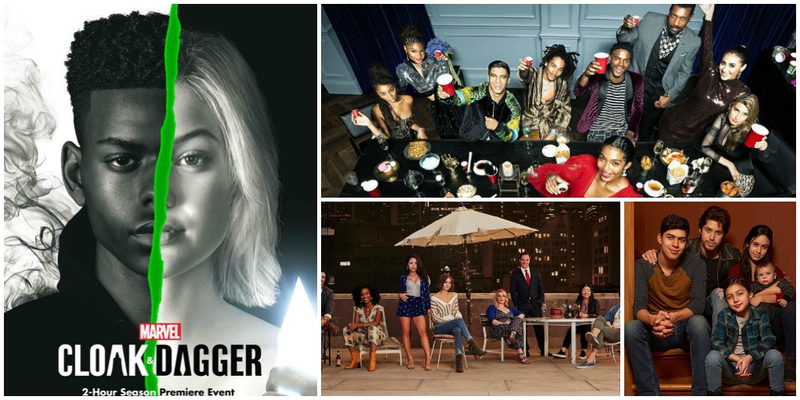 The series follows Callie (Maia Mitchell) and Mariana (Cierra Ramirez) as they embark on the next phase of their young adult lives in Los Angeles, as Mariana tackles the male-dominated world of tech and Callie faces the harsh realities of the federal legal system clerking for a federal judge. After moving to The Coterie in Downtown Los Angeles, Callie and Mariana realize that living on their own is not all that it’s cracked up to be. Faced with new neighbors, new challenges and, of course, new romances, the sisters must depend on one another to navigate the City of Angels.